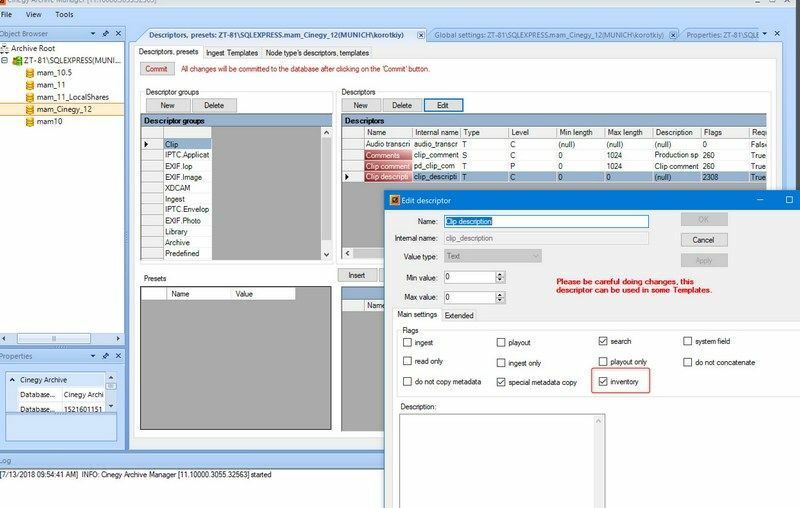 Cinegy Air Pro can import information from Cinegy Archove when items are manually put into the playlist via drag and drop operation. In case description column stays empty after Cinegy Archive item is inserted the "Clip Description" field metadata should be checked in Cinegy Archive. To enable Description filed export, please set appropriate Checkbox "Inventory" Descriptor, Presets tab in Cinegy Archive Manager.